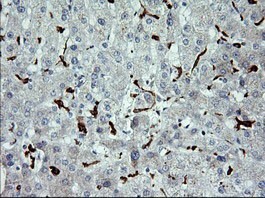 Mouse anti Human CD163 OTI2G12. 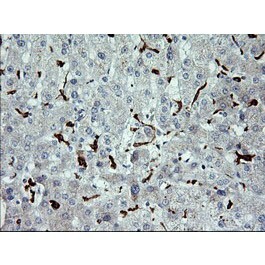 Full length human recombinant protein of human CD163(NP_004235) produced in HEK293T cell. 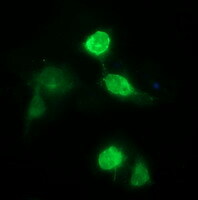 The protein encoded by this gene is a member of the scavenger receptor cysteine-rich (SRCR) superfamily, and is exclusively expressed in monocytes and macrophages. It functions as an acute phase-regulated receptor involved in the clearance and endocytosis of hemoglobin/haptoglobin complexes by macrophages, and may thereby protect tissues from free hemoglobin-mediated oxidative damage. This protein may also function as an inte immune sensor for bacteria and inducer of local inflammation. Altertively spliced transcript variants encoding different isoforms have been described for this gene. [provided by RefSeq, Aug 2011].